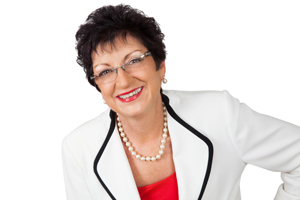 Finding the right celebrant is one of the most important parts of “tying the knot”. 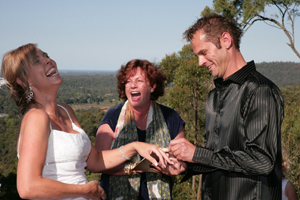 Only an authorised celebrant can legally perform your marriage. Choosing your Celebrant is very much a personal matter – a particular Celebrant might have been recommended to you, or there just might be something else that makes you feel more at ease with one over another. 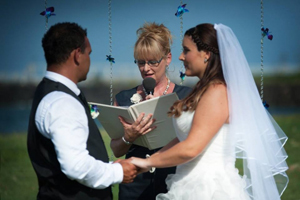 Once you have made contact with a celebrant it is important that you feel comfortable with whoever you choose, as your ceremony is the most important part of your very special day. Engaging the right Celebrant for your individual needs makes all the difference to the quality of your ceremony, and how it will be remembered. The Celebrants listed below are looking forward to meeting with you and to helping you to create memories that last forever. Ceremonies of Style! What an immense honour it was to be ABIA Australian Celebrant of the year along with being the number ONE in QLD for 2016 and 2017. For 11 years now I have been totally committed to providing my professional services to over 900 couples and I continue to look forward in helping make many more wedding days absolutely amazing! I Do What I Love and Love What I Do! 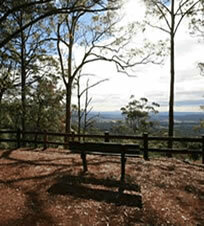 This entry was posted in Civil Celebrants, Wedding Services and tagged Civil Celebrant, Tamborine Mtn Weddings, Tarnya Bennett on February 7, 2019 by Detlef. Being a Marriage Celebrant is an Incredible Privilege! And one I don’t take lightly. We get to share in one of the most memorable moments of your life. I’m serious about you having a wedding that you and your guests will talk about for years to come. I am totally committed to providing you with first class professional and reliable service and feel honoured that I can help make your wedding day the special occasion that you deserve it to be! This entry was posted in Civil Celebrants, Wedding Services on February 7, 2019 by Detlef. Helping you create meaningful memories! With over 10 years experience I specialise in creating a ceremony that is perfect for you by embracing your unique beliefs and authentic essences of both the individual and couple. I encourage you to have as much input as you wish so that the ceremony will be uniquely yours. 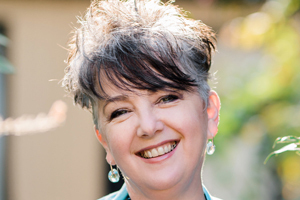 In my role as a professional celebrant I provide a friendly and relaxed service with unlimited email or phone consultation with a comprehensive resource kit. 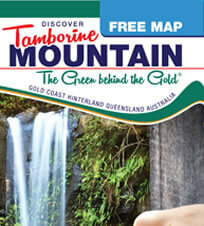 This entry was posted in Civil Celebrants, Wedding Services and tagged Civil Celebrant, the green behind the gold, Weddings on Tamborine Mountain on January 18, 2018 by Detlef. After all, this occasion is about the two of you! Whether you are planning a large affair or it is just the two of you and two witnesses, I can make your ceremony a personalised, unique and beautiful event. I can guide you through the legal process required to marry in Australia, compose and perform your ceremony, and lodge the required paperwork. Life is full of special moments with people we love, that’s what makes life worth living! 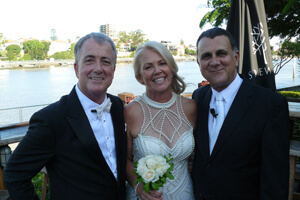 This entry was posted in Civil Celebrants, Wedding Services and tagged Civil Ceremonies, Karen Cook, Say I do, Wedding Celebrant on March 8, 2019 by Detlef. The Marriage Celebrant! Highly experienced professional male celebrant available 7 days a week to perform wedding ceremonies – Neal Foster The Marriage Celebrant. Here’s what some of my couples have said: Thanks Neal, You were amazing! I had a lot of comments on how fantastic the ceremony was. Thanks so much, you made our day that little extra special – Rachel & Yusuke. 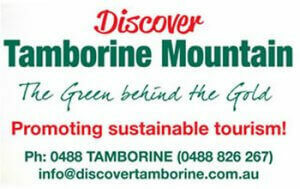 Ceremony held at The Heritage Winery Mt Tamborine. 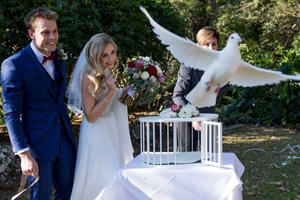 This entry was posted in Civil Celebrants, Wedding Services and tagged Bridal Party, Civil Celebrant, Tamborine Weddings, Weddings tamborine on March 11, 2017 by Detlef.